What Is Below Grade Waterproofing? If your home or building extends below the surface grade of your property, you may want to consider a below grade waterproofing service. Areas that are below grade level are more susceptible to flooding and other types of water damage. With below grade waterproofing , your interior spaces will be fully protected from damage that can be caused by water that flows underneath the surface of the ground. 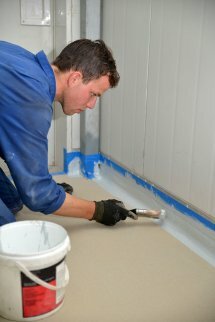 Below grade waterproofing is appropriate for a variety of spaces, including basements, bridges, site walls, and slabs. A company that has experience in concrete installation and coating can provide you with expert below grade waterproofing services. When you hire a company specializing in garage floor epoxy in Orange County, you may want to ask about their other services. By scheduling epoxy garage floor coating and epoxy coating for your other concrete surfaces, you can rest assured that your home is protected against the damaging effects of water. What Are Methane Gas Barrier Systems?